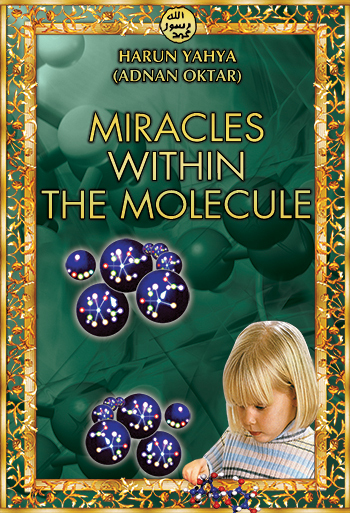 When you hold this book in your hand, you are actually holding molecules. As you sip a cup of coffee, you are actually drinking molecules, and that coffee aroma that reaches your nose actually consists of scent molecules that you are breathing in. Your tongue that tastes the coffee and your eyes that read these lines are also nothing more than assortments of organic molecules. When you breathe, you are actually inhaling molecules from the outside atmosphere. It is by means of these very molecules that you can see, smell and taste. And just like everything around you, your body itself is also made up of molecules. But exactly what are these molecules that comprise you, your skin, the chair you sit in, a cat's fur—and indeed, the entire universe? In fact, those molecules are nothing more than the mutual electron bonds shared among atoms far too small to be seen with the naked eye. By sharing electrons with each other, atoms link up in long-lasting partnerships, forming molecules. The results, invisible to the naked eye, are an astonishing and infinite variety of objects animate and inanimate, from planets to human beings, from rivers to green forests, from antelopes to railways, and from daisies to apples. In words accessible to everyone, this book examines how Allah (God) has created molecules and their extraordinary features by the seemingly simple means of bonds between atoms. Learning how invisible molecules make up all the matter the universe, using your reason and conscience, you can begin to see our Lord's infinite power, intellect and incomparable creations, will understand just how helpless we are before Him, and bow to Allah's great might. You can read Harun Yahya's book Miracles Within the Molecule online, share it on social networks such as Facebook and Twitter, download it to your computer, use it in your homework and theses, and publish, copy or reproduce it on your own web sites or blogs without paying any copyright fee, so long as you acknowledge this site as the reference.